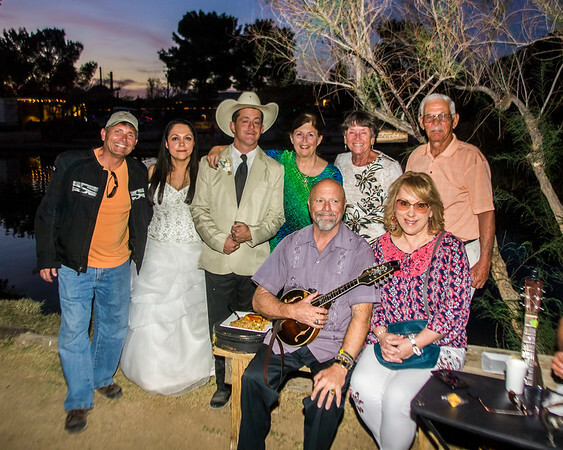 One of our staff here at Twentynine Palms RV Resort had a wedding yesterday. 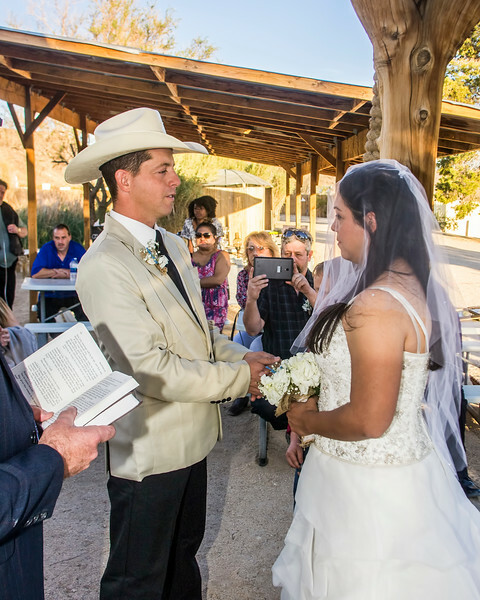 Bryon is one of the longest term employee's here at the park and we are all excited that he has found someone to share the rest of his life with. 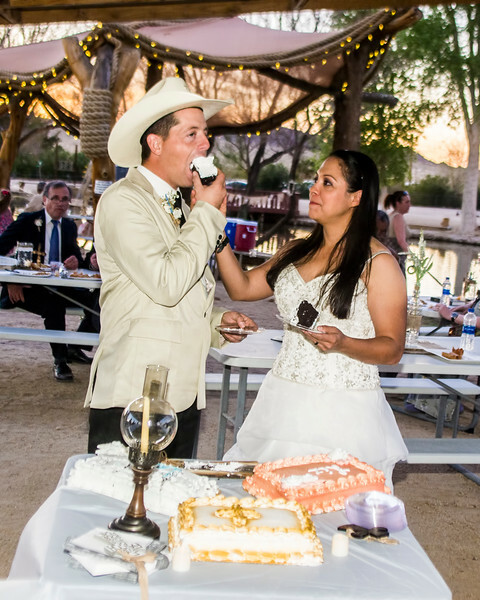 Bryon & Liz wanted to get married by the water, which is a challenge here in the desert, but they found a place in nearby Joshua Tree where their dreams could be united. 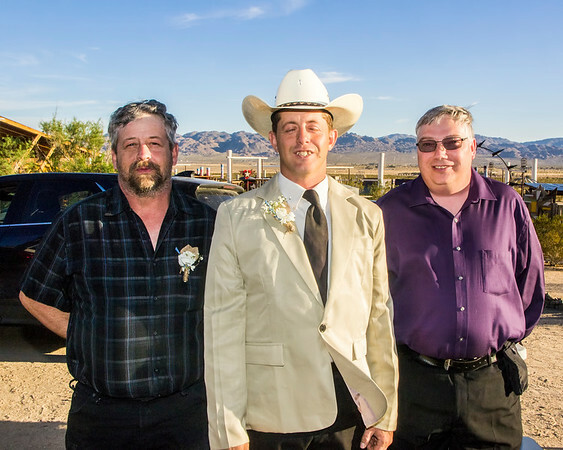 Several park employee's and guests made the trip to Joshua Tree Lake and RV Park for the wedding. Bryon and Family, Dad and Uncle! 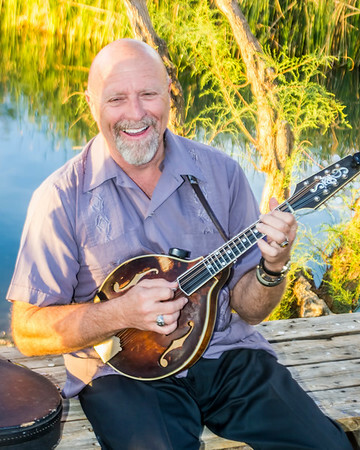 Mark & Paul - The Luminators - provide beautiful music! 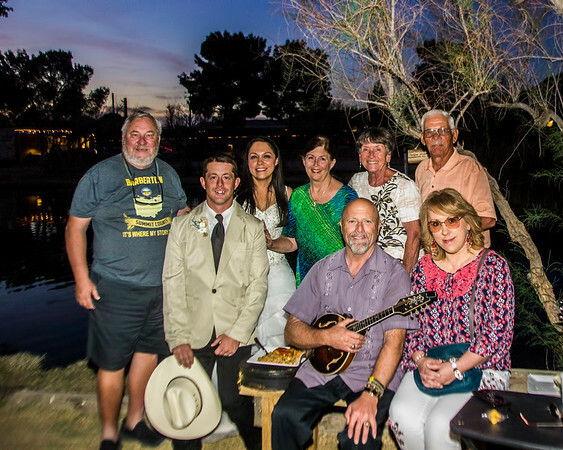 Twentynine Palms RV Resort was well represented on a beautiful evening! Pat & John drove up from Palm Desert! 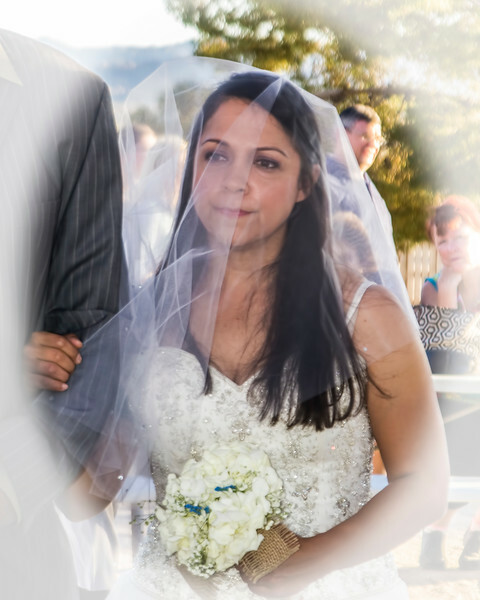 All of us here at the Park wish Bryon and Liz many, many years of happiness! I took many more pictures and will be putting a nice album together for Bryon & Liz! 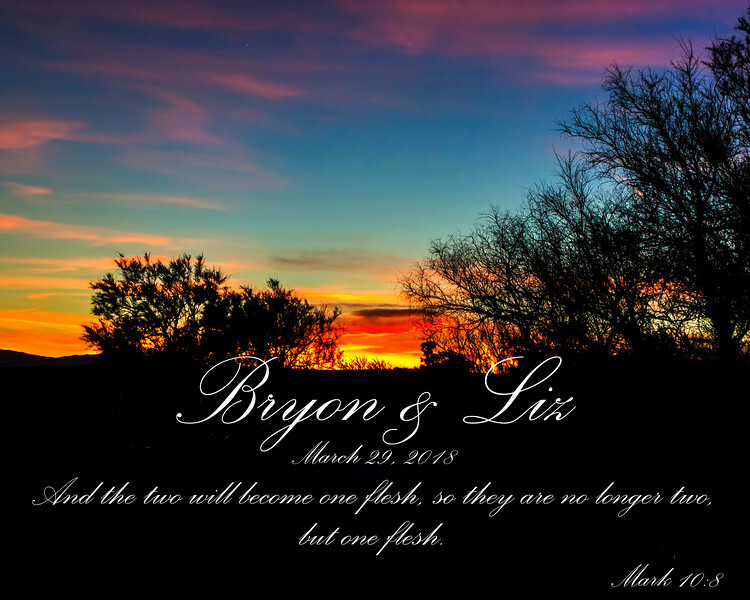 Thank you for sharing such beautiful photos of Bryon's special day. 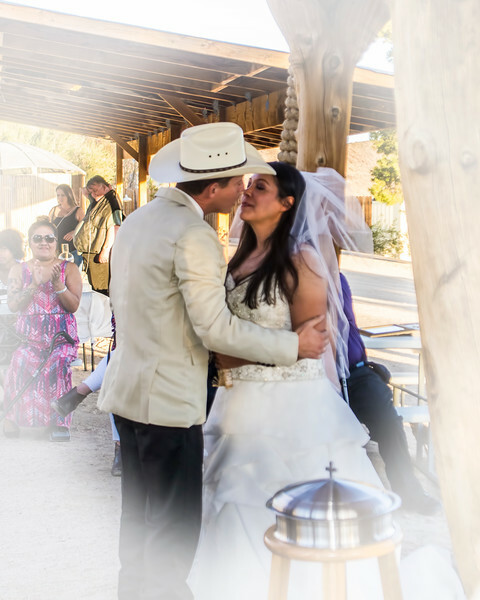 All the 29 Palm RV family wishes he and his lovely bride a wonderful life together.